DJI has joined forces with Hasselblad, a Swedish camera manufacturer that is partly owned by the drone maker. The two companies have recently introduced what they call the world’s first 100-megapixel integrated aerial photography platform. It basically combines the DJI M600 Pro drone, the Ronin-MX gimbal, and the Hasselblad H6D-100c camera. The high-end setup is targeted at professionals and can be used for capturing great looking photos as well as video content from the air. Thanks to its 53.4mm x 40.0mm sensor, the camera can take great-looking images even at night and in poor lighting conditions. The price of the setup, which was announced at the same time as the NAB Show in Las Vegas, hasn’t been revealed yet. It won’t come cheap that’s for sure. The M600 Pro drone costs around $5,000, while the Hasselblad H6D-100c camera can set you back for over $30,000. 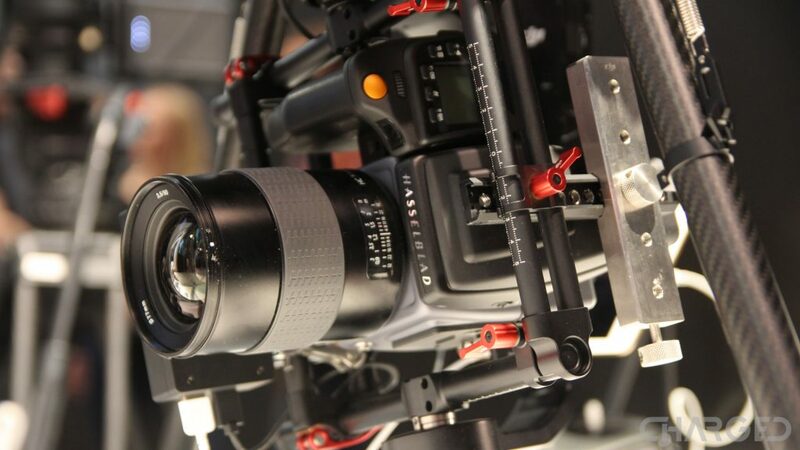 Add the $1,599 price tag of the Ronin-MX gimbal to the mix and you’re looking at a price of over $36,000. However, the setup will likely sell for less than that, as all three products are sold combined. It makes sense that the final price would be cheaper when compared to buying all three products individually. We’ll know for sure when the official pricing is released, which is expected to happen in the third quarter of the year when the photography platform will go on sale. You can be sure this will end up on our Best camera drones list!